Robert L. Burwell, Jr.1912-2003 (H. Kung et al.). Active Sites and Reactive Intermediates in Titanium Silicate Molecular Sieves (P. Ratnasamy et al.). Electron Microscopy and the Materials Chemistry of Solid Catalysts (J.M. Thomas, Pratibha L. Gai). Chemistry and Technology of Isobutane/Alkene Alkylation Catalyzed by Liquid and Solid Acids (A. Feller, J.A. Lercher). Catalytic Conversion of Methane to Synthesis Gas by Partial Oxidation and CO2 Reforming (Yun Hang Hu, Eli Ruckenstein). Since 1948, Advances in Catalysis has filled the gap between the papers that report on and the textbooks that teach in the diverse areas of catalysis research. The editors of and contributors to Advances in Catalysis are dedicated to recording progress in this area. 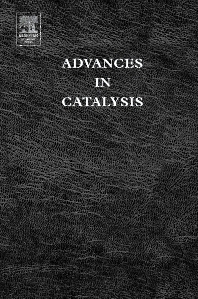 Advances in Catalysis, Volume 48, includes a description of a new and increasingly well understood class of catalysts (titanosilicates), a review of transmission electron microscopy and related methods applied to catalyst characterization, and summaries of the chemistry and processes of isobutane-alkene alkylation and partial oxidation and CO2 reforming of methane to synthesis gas. Students, researchers and industrial chemists in the fields of catalysis and materials chemistry.